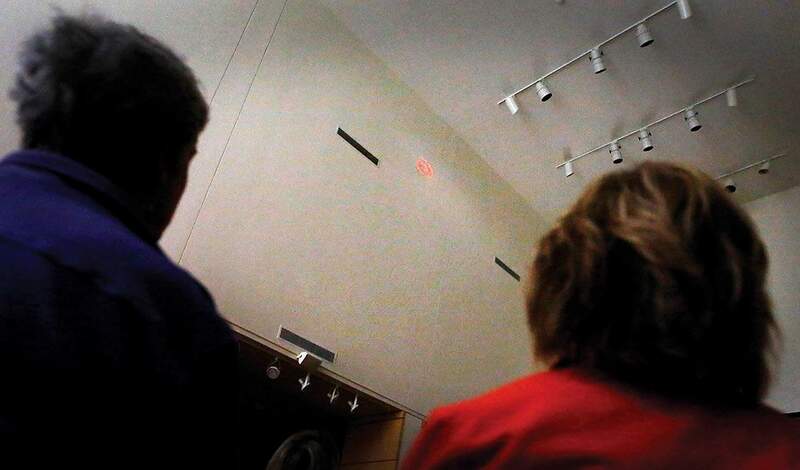 About 50 people showed up early Wednesday morning to view the summer solstice spiral that appears high on a wall in the museum of the Center of Southwest Studies building at Fort Lewis College as the sun rises. This year the spiral appeared red for the first time since 2002 because of smoke in the atmosphere from New Mexico wildfires. 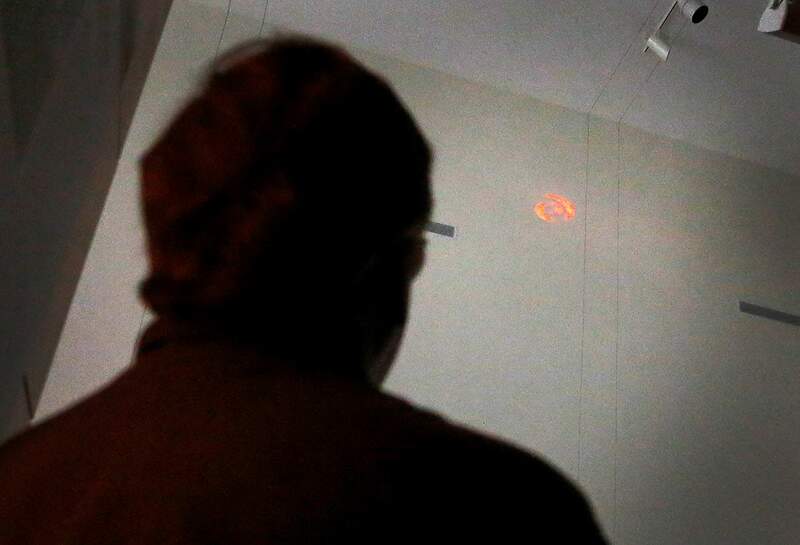 As the earth rotates the summer solstice spiral projected through a window changes shape early Wednesday on a wall in the museum of the Center of Southwest Studies building at Fort Lewis College. This year a smoky haze from New Mexico wildfires caused the spiral to appear red for the first time since 2002. Usually the spiral is bright white. 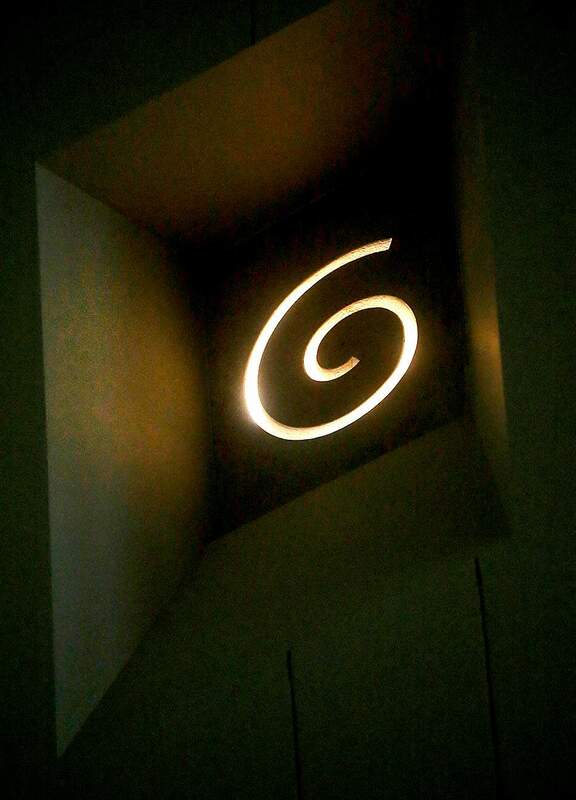 A window in the Center of Southwest Studies building at Fort Lewis College has a spiral built into the window thats casts the shape of the spiral on a wall in the museum during the summer solstice, which occurred this year on Wednesday morning at sunrise. The spiral is at its most defined for about 30 minutes beginning at 6:11 a.m. on the solstice, said Curator Jeannie Brako. About 50 people showed up for the early Wednesday morning to view the summer solstice spiral, and waited patiently as clouds and a smoky haze delayed its appearance. The spiral appeared at 6:28 a.m. – a few minutes later than usual – and viewers were treated to a rare red tinge to the spiral because of smoke in the atmosphere. About 50 people showed up early Wednesday to view the summer solstice spiral high up on a wall in the museum of the Center of Southwest Studies building at Fort Lewis College. 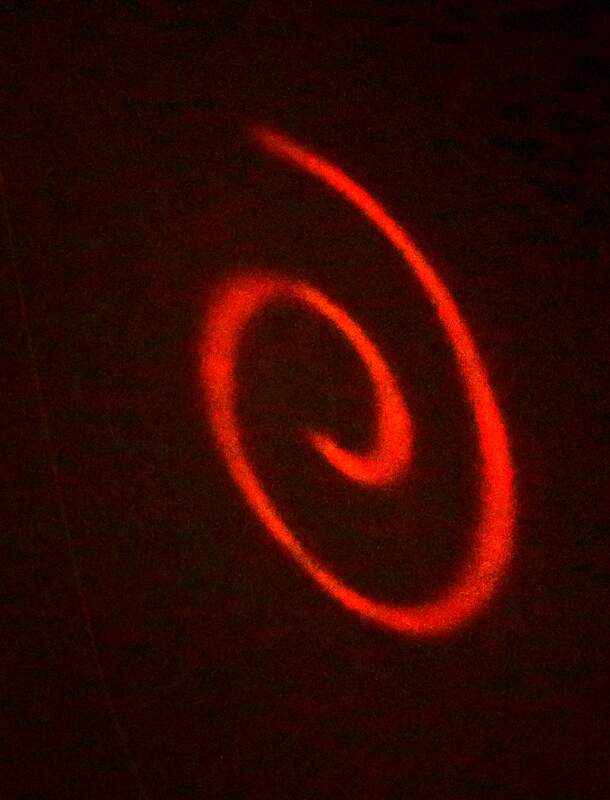 This year the spiral appeared red for the first time since 2002 thanks to smoke in the atmosphere from wildfires. 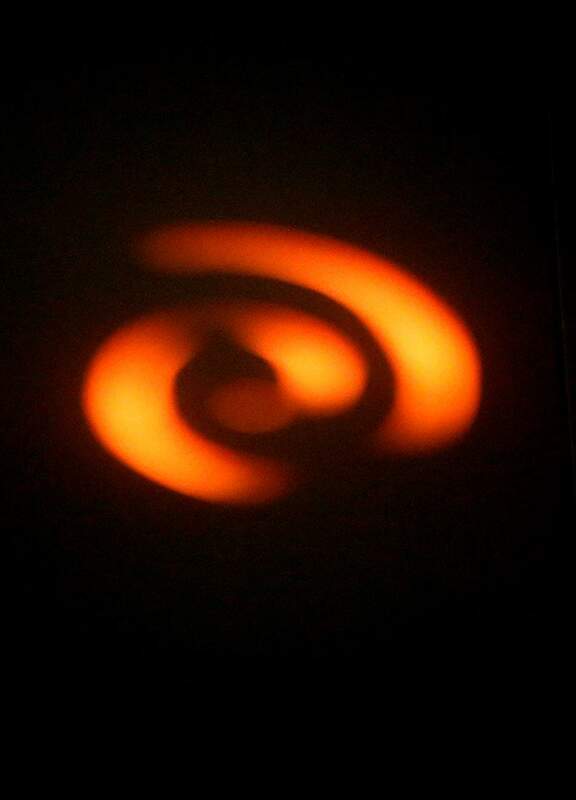 A red spiral of sunlight appeared Wednesday morning on a wall inside the Fort Lewis College Center of Southwest Studies. The spiral is the result of sunlight passing through a specially designed window that displays a complete spiral on the summer solstice, when the northern hemisphere tilts 23.4 degrees toward the sun before wobbling the other direction, giving the southern hemisphere preference for more daylight. The red hue was the result of diffused smoke in the atmosphere from a wildfire near Santa Fe, New Mexico. The last time a red spiral appeared was in 2002, the year of the Missionary Ridge Fire, which burned more than 70,000 acres north of Durango and west through Vallecito, said Jeannie Brako, curator at Center of Southwest Studies. The spiral appeared suddenly at 6:29 a.m., and then faded in and out for about 20 minutes. It usually shows up a few days around the solstice and burns a bright white, sharpest on the day of the solstice.